Ewa Satalecka is a designer and educator living in Bukowno, Poland. She received an MFA (Master of Fine Arts) from the Academy of Fine Arts in Krakow (1984), a Doctorate from the Academy of Fine Arts in Katowice (2005) and habilitation (post-doc) from the Academy of Fine Arts in Warsaw. 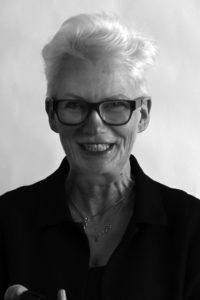 She has organised numerous exhibitions on typography and information design, as well as numerous international design workshops. Professor Satalecka is a curator of many international conferences what brought her a honour title of the Polish Ambassador of Congresses. She edited a few books i.e.Fajrant, a collection of workshop and lectures resumés that received the TDC certificate in 2012. She co-curating the International Students Moving Typography festival MOTYF from early beginning in 2013. Her own work includes kinetic typography installations, which were presented in 2008 at the “Liquid Page” Symposium in Tate Britain in 2008 and at the Moving Type Exhibition in the Gutenberg Museum, Mainz in 2011. Professor Satalecka works as a graphic designer and theatre set designer; she also writes on the topic of communication design. She had been a guest lecturer at for Aalto University, Helsinki; MMU Manchester; RISD, Providence; Carnegie Mellon University, Pittsburgh; MIT, MassArt, Boston. She is also the Polish representative at the ATypI forum. Currently, she is a professor of the Polish-Japanese Institute of Information Technology in Warsaw, where she heads the New Media Art Department and leads the English Program on Multimedia Communication.